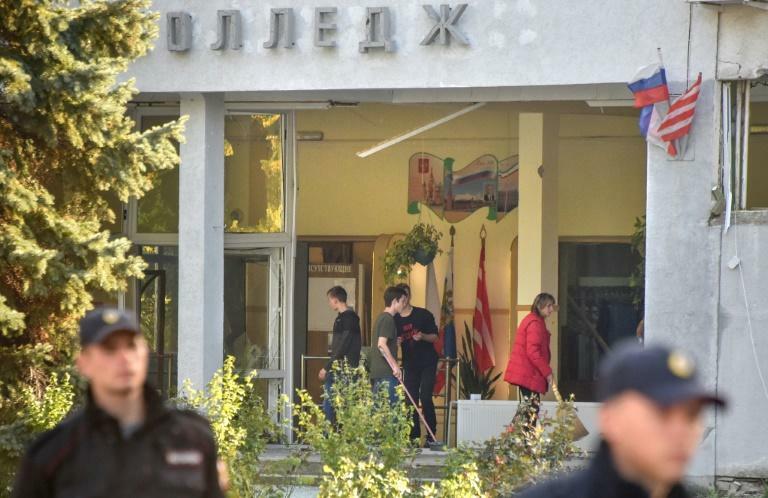 A teenage gunman who killed 20 people in a Crimean college had spoken of taking revenge for bullying, a girl claiming to be his ex-girlfriend said Thursday, while Russian President Vladimir Putin said the massacre was influenced by American shootings. Putin said at a forum in the southern city of Sochi that the killing was the "result of globalisation" and the continuation of a trend that had begun in the US. "We do not create enough good (online) content for young people. This leads to this kind of tragedy," said the president, whose government has in recent years increased its control on the internet. Putin's remarks came as investigators sought to establish what prompted 18-year-old Vladislav Roslyakov to open fire on fellow students at a technical college in Kerch, a city in the Moscow-annexed Crimean peninsula, before killing himself. More than 40 others were injured. In an interview with state media, a girl claiming to be his ex-girlfriend described him as a "kind and considerate" person who had complained of bullying. "He would say that he lost trust in people when his classmates began humiliating him for not being like everyone else," a 15-year-old named as Zlata told the Kremlin-funded RT outlet. "Vladislav was always telling me about his frequent fights with people around him," she said, adding that he "didn't want to live" because of it. The girl, who broke up with Roslyakov at an unspecified time before the killing, said he was a shooting enthusiast. "I'm sorry for the people he shot and I'm very sorry that he killed himself. He was a very good friend," she said. 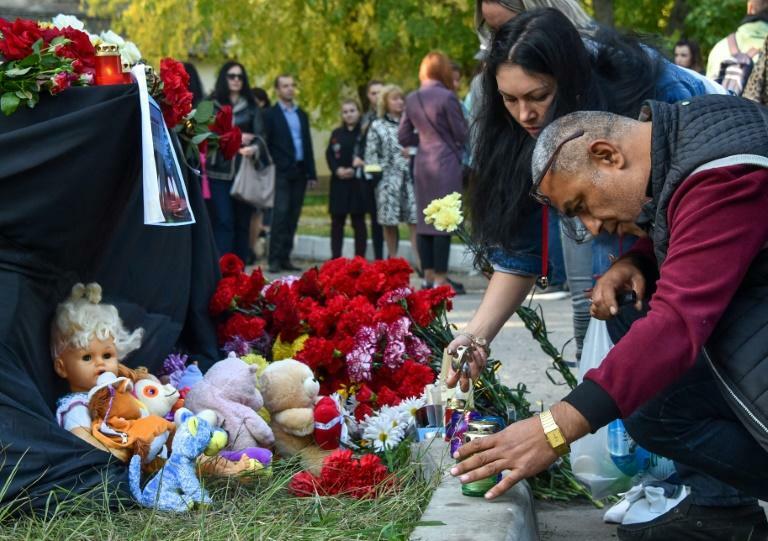 Russia's health ministry put the latest death toll at 20. A few hours earlier, city authorities published a list of 19 of the victims -- nine of them under the age of 18. A 15-year-old boy, Sergei Stepanenko, was the youngest to die in the shooting. 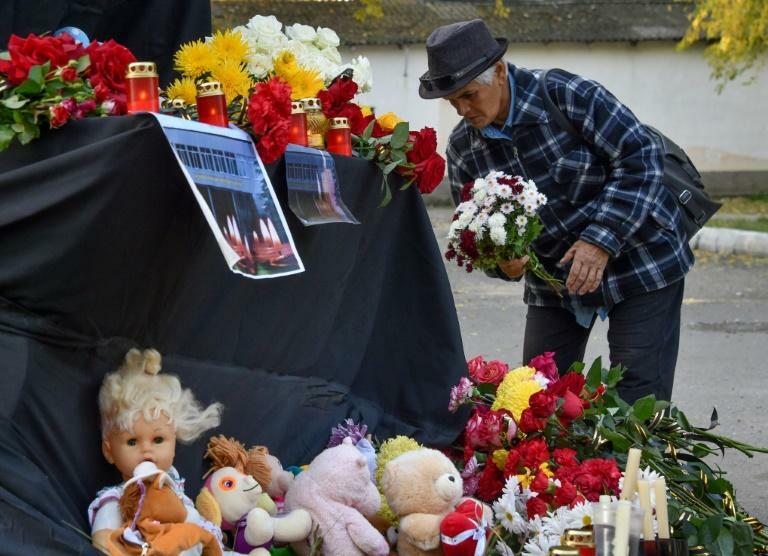 One of the girls who died, 16-year-old Darya Chegerest, "tried to help others" as the attack unfolded but was killed, her fellow first-year student Viktoria Voiko told AFP. Many of those hospitalised were injured by an explosion that blasted metal ball bearings and other items into their bodies, ripping into organs. Health minister Veronika Skvortsova told journalists that most of those who died suffered gunshot wounds. She said the explosion made "mincemeat" of the victims and several had limbs amputated. The gunman "moved from room to room and, like an experienced special forces fighter, first threw a home-made grenade before going to shoot people," Russian daily Kommersant wrote. It called the shooting an "unprecedented crime in Russia", which has strict gun controls. Several media outlets made a comparison with the 1999 Columbine High School shooting in the US, which left 13 people dead. They described photographs circulating on the internet showing Roslyakov wearing a similar T-shirt to Eric Harris, one of the Columbine killers. "On paper, he had an ideal character. We simply do not understand," Crimean leader Sergei Aksyonov told journalists. According to Kommersant, the teenager "grew up in a rather poor family" with a disabled father. The paper said Roslyakov's mother is a Jehovah's Witness -- a Christian organisation considered "extremist" and banned in Russia. Russian television reported she works as an orderly at one of the hospitals that treated victims. According to the RIA Novosti agency, security forces raided Roslyakov's family home following the killings. Stunned locals brought flowers, candles and toys to the scene on Thursday morning as the army and police cordoned off the college site. "We all lost people close to us, the children of Kerch. We need to know the truth now," resident Sergei Ivanov told AFP. "No one can guarantee that this will not happen again," the pro-Kremlin paper Izvestia said. Kremlin spokesman Peskov on Thursday said "measures will have to be taken to minimise or totally eliminate such risks in the future." Attacks by disaffected teenagers at schools and colleges have hit the headlines recently in Russia. In January, a school student attacked a teacher and fellow students with an axe in Siberia and tried to set fire to the school building. In April, another student stabbed a teacher and a fellow student in the Urals Mountains and then set fire to a classroom.